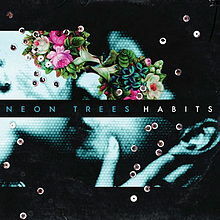 Habits is the debut full-length album by alternative band Neon Trees, released on March 16, 2010. The album’s lead single, “Animal” was featured in several commercials, including those for Camp Vegas, and has reached #13 on the Billboard Hot 100 and #1 on the Alternative Rock chart. “1983” received a music video, the single was released on September 28, 2010.